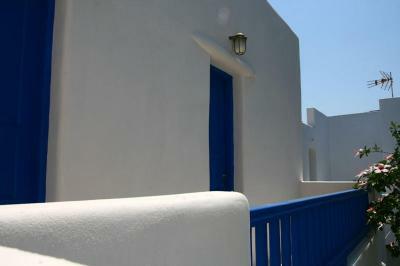 Lock in a great price for Hotel Minoa – rated 9.2 by recent guests! Home away from home. Wonderful island, location, people and food. Location right on the harbour front is wonderful, fabulous view of harbour from the balcony of my room, perhaps I was lucky. 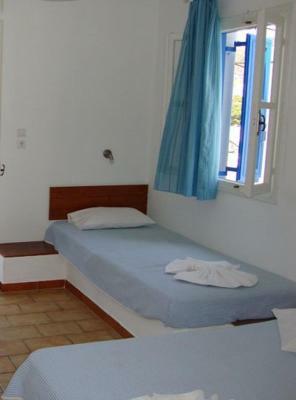 Hotel is older but has all necessary facilities with adjacent good open air restaurants. 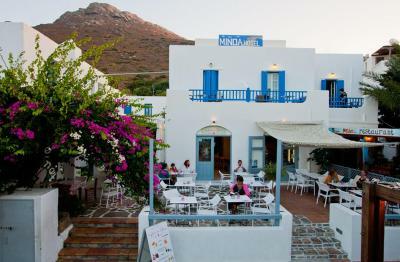 I had a very pleasant stay and would certainly recommend not only this hotel but also the island of Amorgos. Don't miss the monastery on the South side of the island - stunning. 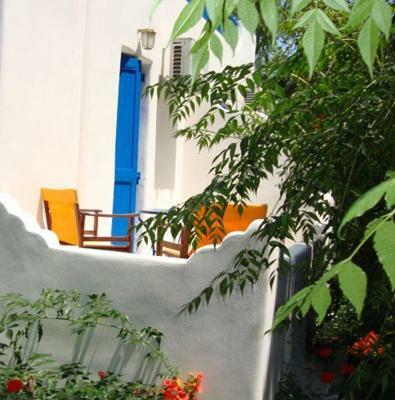 It was a sheer delight to make our second visit to Hotel Minoa. 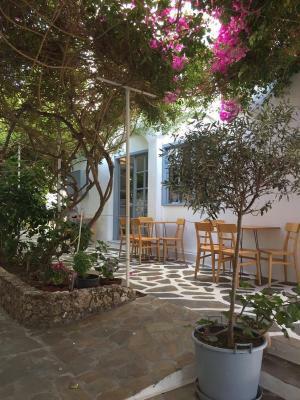 Friendly, helpful manager Stamatis and staff plus Poppy in the attached patisserie make it a pleasant place to stay. 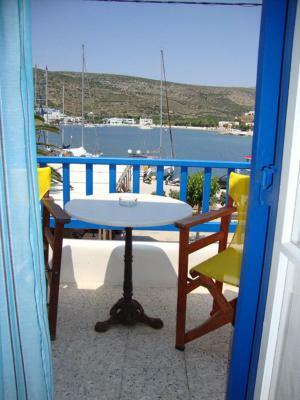 We enjoyed our large room with balcony overlooking the beautiful harbour. There is a ferry arrival at 3:00am on a few days but the excellent French doors closed block out the noise. Besides it's very interesting watching all the ship / yacht movements during the day. 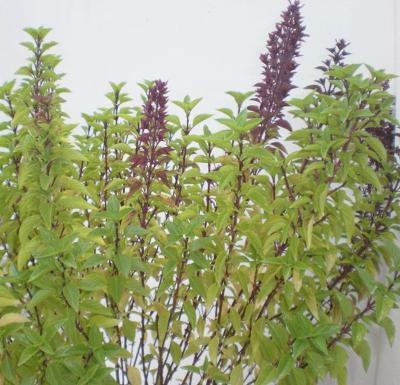 Hotel is kept exceptionally clean and there are lovely plantings. Great location immediately adjacent to the ferry terminal, and I had to catch a 6am ferry. Very friendly and helpful owner and staff. 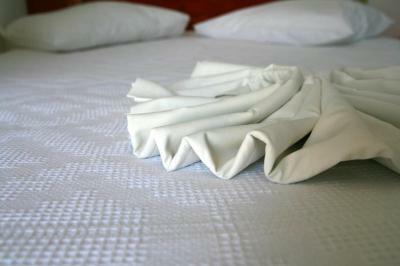 It is a lovely hotel in beautiful surroundings with a very friendly and helpful owner. We had a room with a fantastic view of the port and we thoroughly enjoyed our quite lengthy stay there. Exceptional hosts, outstanding home-made healthy breakfast. Great location on the sea front. It is very close to the ferry terminal. 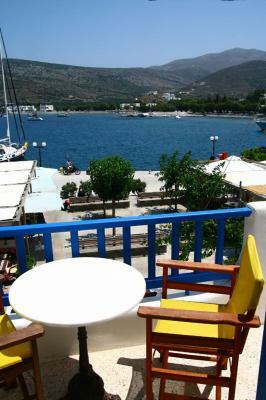 - go right if you arrive via Express Skopeliis or left via the larger ferries. The bus stop is only about 200m away. 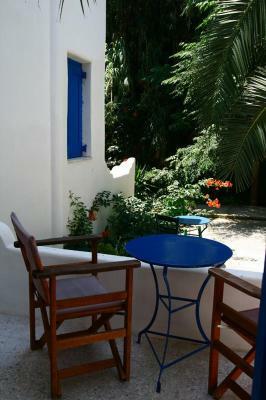 It is a well-run typical Greek small hotel. 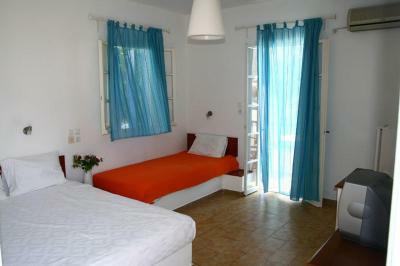 The room was large, quiet and the beds comfortable. There is a well-kept garden at the rear of the hotel. At the front of the hotel there is café/patisserie from which you can obtain a very good breakfast. 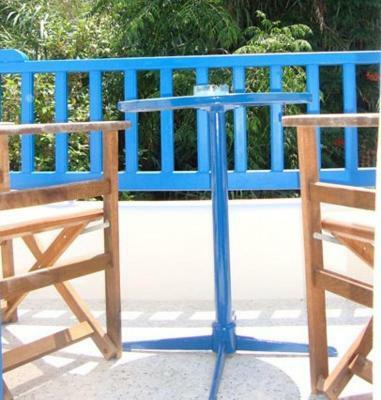 Next door is the Mythos restaurant which is excellent. We stayed 4 nights and I would have been happy to have stayed longer. This place is an absolute gem! Perfect location close to everything but not too much people around somehow. Owner very helpful and the cafe in the same house is just excellent as well as the breakfast. We regretted staying only 4 nights... This place is just perfect and you need to visit! From the moment that we arrived Ioanna made us feel very special. 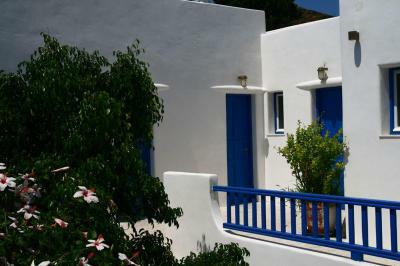 With her husband Stamatis and the staff at Minoa we had one of the best holiday experiences we have had on any Greek island, this being one of the best Islands we have been on. We will be returning. 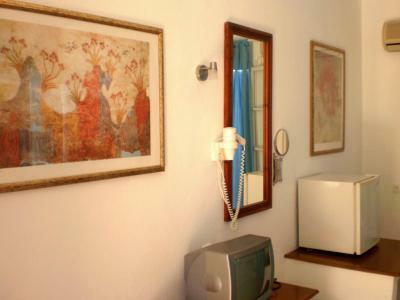 Hotel Minoa This rating is a reflection of how the property compares to the industry standard when it comes to price, facilities and services available. It's based on a self-evaluation by the property. Use this rating to help choose your stay! 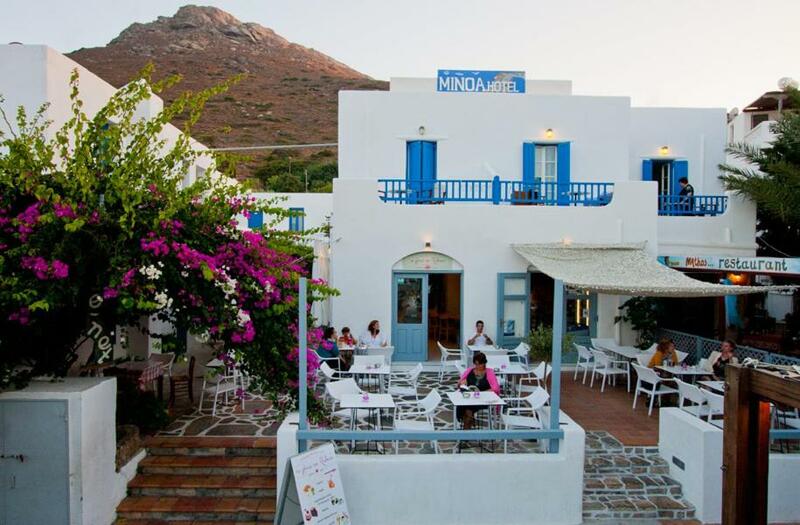 The Cycladic-style Hotel Minoa is centrally located in Katapola Port, next to restaurants and mini markets and 350 feet from the beach. Surrounded by a garden, it features a snack bar and communal library. Free Wi-Fi is available. 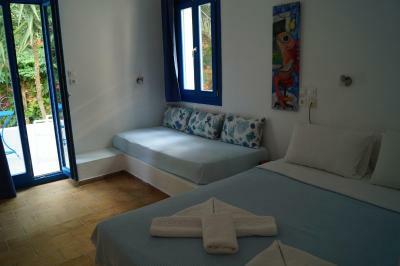 Fitted with built-in beds, all air-conditioned rooms open out to a furnished balcony with garden or Aegean Sea views. Bright and spacious, they offer a TV and mini fridge. 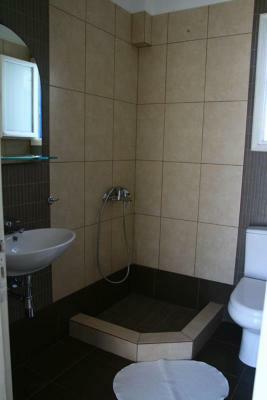 The modern bathroom comes with a shower and hairdryer. Guests at Hotel Minoa can start their day with breakfast in buffet style. Throughout the day, they can order drinks, snacks and traditional sweets at the on-site bar. The 24-hour front desk can book tickets on request. 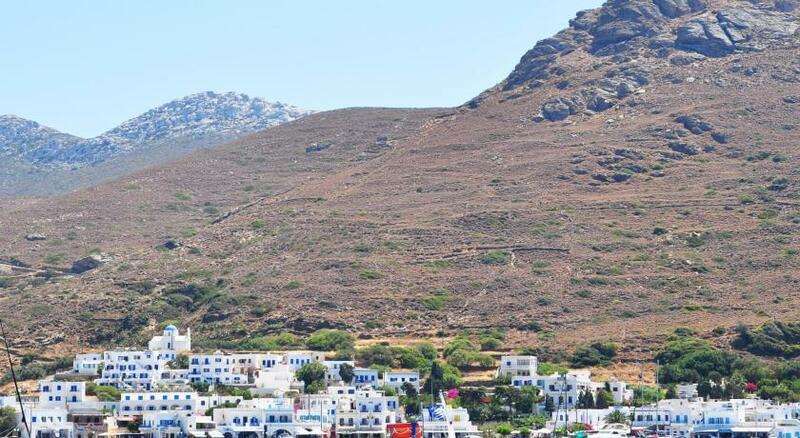 The scenic town of Amorgos is 3.1 mi away. Free parking is possible nearby. 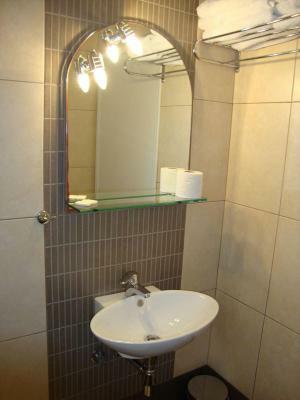 This property also has one of the top-rated locations in Katapola! Guests are happier about it compared to other properties in the area. 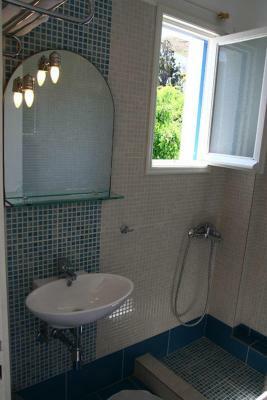 This property is also rated for the best value in Katapola! Guests are getting more for their money when compared to other properties in this city. 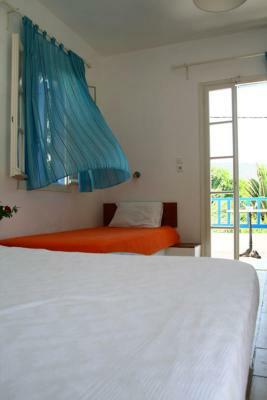 When would you like to stay at Hotel Minoa? 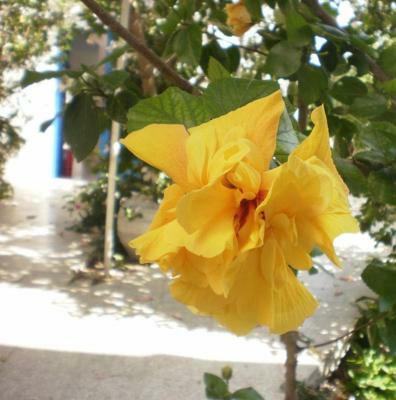 House Rules Hotel Minoa takes special requests – add in the next step! Hotel Minoa accepts these cards and reserves the right to temporarily hold an amount prior to arrival. The weather was not only very windy, but thick clouds and mist. So, If it is a cloudy day, then remind the owner to switch on the electric water heater. If I have to find something that wasn't perfect the beds were too hard for my taste. To be fair, my wife loved them. The only negative I can add to my review is the shower . Rather than that everything was perfect. I've never felt as welcomed at a hotel as I did staying at Minoa. The owners were kind, accommodating, and paid attention to detail. The breakfast was wonderful, the room was clean and spacious. The view was incredible. I hope to return! The staff is amazing and always available to help you. 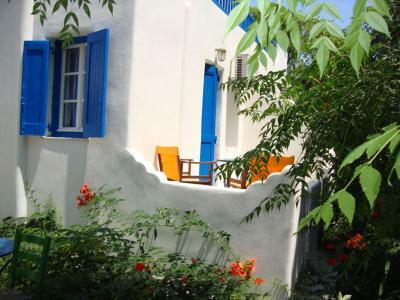 The location is convenient and perfect to reach all the places on the island. I absolutely recommend it! One of the best experiences in my life! 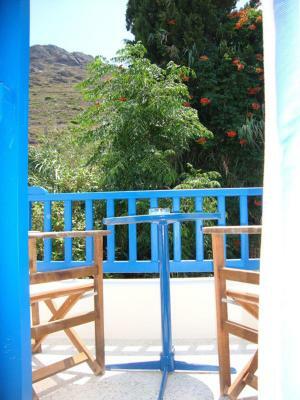 Paradise is in Amorgos!!! We are very happy with our stay. 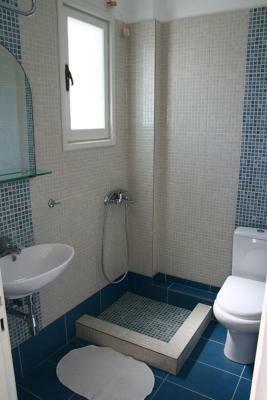 The room was spatious and clean with a small terrace to the garden. Even though the hotel is very close to the small but busy port it was very quiet and calm. The owners were very helpful and friendly. We had to change our booking dates two times because of the ferry traffic but it was never a problem. Ground floor room great access and space, but residents above when they hung their laundry dripped water all over the things we were trying to dry. The beds are really a bit too hard. Would be good to change the mattresses maybe ?